These terms and conditions form an agreement between the parties. Any infringement or breach of the terms and conditions by the Customer permits the Company to refuse to complete the Hire Period or to terminate the Hire Period without payment of any refund. Any and all variations to the terms and conditions are to be agreed to in writing between the parties. The Customer acknowledges that the Company does not own the Vehicle the Customer booked for the Hire Period and accepts that the Company is a booking agent only, acting on behalf of the owner of the Vehicle. “Administration Fee” means 2% of the total cost of the Hire Period. “Booking” means the Hire Period for which the Customer has requested and agreed with the Company to hire the Limousine, and the Booking Cost Deposit has been paid by the Customer or the Customer’s credit card details have been obtained as security for the Booking Cost Deposit, regardless of whether the credit card has been charged. “Booking Cost” means a monetary amount charged by the Company to a Customer to satisfy complete payment of a Hire Period, not including any additional Administration Fee or Booking Amendment Fee which may be payable. “Booking Cost Deposit” means 25% of the total amount of the Booking Cost for the Hire Period, inclusive of GST. “Cancellation Fee” means the monetary payment charged to the Customer in accordance with these terms and conditions, when the Customer cancels a Booking of a Hire Period. “Customer” means the person who has booked the Vehicle for the Hire Period; or any other person listed on the Booking Confirmation Form on behalf of the Customer. “GST” means an amount of 10% of the total Booking Cost payable in accordance with A New Tax System (Good and Services Tax) Act 1999 (Cth). “Vehicle” means the Vehicle booked by the Customer for a Hire Period. 1. The Company is responsible for taking Bookings of Hire Periods by Customers on behalf of the owner of the Vehicle. 2. The Customer must provide their credit card details to the Company at the time of Booking the Hire Period and the Customer authorises the Company to deduct any monies owed to it, in accordance with these terms and conditions or the Booking Confirmation Form, from the Customer’s credit card. 3. The Customer acknowledges that the Company is not responsible or liable for the actions of the Vehicle owners or their Chauffeurs, or the interactions of the Chauffeurs with Customers in any way whatsoever, including during the Hire Period. 4. Any changes or amendments to a Hire Period requested by the Customer after a Hire Period has been confirmed will be at the discretion of the Company and incur a Booking Amendment Fee. 5. Any cancellation of a Hire Period requested by the Customer after a Hire Period has been confirmed will incur a Cancellation Fee. 6. At the time the Customer makes a Booking for a Hire Period, a non-refundable Booking Cost Deposit and an Administration Fee is payable by the Customer..
7. Payment of the Booking Cost Deposit represents acceptance of these terms and conditions by the Customer. 8. Approximately seven (7) days prior to the commencement of the Hire Period, the Company will collect the total Booking Cost from the Customer, less the amount of the Booking Cost Deposit. 9. In the event that a Booking of a Hire Period occurs less than thirty (30) days prior to the Hire Period, full payment of the Booking Cost is required at the time of Booking the Hire Period. 10. The Customer authorises the Company to deduct the Booking Cost Deposit, the total Booking Cost and the Administration Fee, when the amounts become due and payable in accordance with these terms and conditions, from the Customer’s credit card provided to the Company at the time of the booking of the Hire Period. 11. A Booking Confirmation Form of a Hire Period will be provided to the Customer within twenty four (24) hours of the Booking Cost Deposit being processed and approved by the Customer’s nominated credit card provided. 12. The Customer must confirm with the Company, prior to the commencement of the Hire Period, that all Hire Period details, as recorded in the Booking Confirmation Form are correct. 13. In the event that a Hire Period completes earlier than the time as anticipated by the Customer, no refund is payable by the Company. 14. The Customer acknowledges that from time to time and for reasons beyond the control of the Company, the Vehicle booked for the Hire Period by the Customer may be unavailable due to unforseen circumstances or any other reason. b) the Company or the owner of the Vehicle booked for the Hire Period will use their best endeavours to make arrangements for an equivalent or alternative Vehicle to be made available for the Hire Period. 16. In the event that an equivalent or alternative Vehicle cannot be made available for the Hire Period, the Customer will be entitled to a refund of the Booking Cost. 17. In the event that the Customer requests any changes or amendments to an existing Booking for a Hire Period, including, but not limited to, changes to the date or time of the Hire Period, the Vehicle used for the Hire Period, the pick-up point and/or destination point or the duration of the Hire Period, the Customer will be required to pay a Booking Amendment Fee to the Company. 18. Any Booking Amendment Fee payable will be explained to the Customer prior to the change or amendment of the Booking for the Hire Period being processed by the Company. 19. The Customer authorises the Company to deduct a Booking Amendment Fee, in accordance with these terms and conditions from the Customer’s credit card provided to the Company at the time of the booking of the Hire Period. c) where a cancellation occurs less than two (2) weeks prior to the Hire Period, the total Booking Cost for the Hire Period will be charged to the Customer. 21. The Customer authorises the Company to deduct a Cancellation Fee, in accordance with these terms and conditions from the Customer’s credit card provided to the Company at the time of the Booking of the Hire Period. 22. 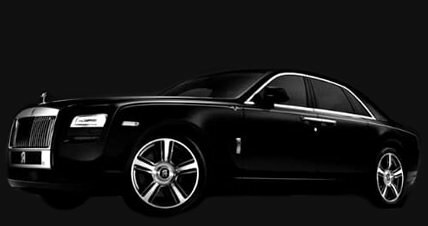 The Chauffeur will contact the Customer six (6) to twenty four (24) hours prior to the commencement of the Hire Period to confirm the details of the pick-up location and time. 23. When confirming the pick-up location and time, the Customer should ensure they allow sufficient time to meet any personal time requirements they may have during the Hire Period, taking into account potential traffic volumes during the Hire Period. 24. The Chauffer will use their best endeavours to adhere to the Customer’s specified pick up location and time. 25. The Company has no responsibility or liability in relation to any failure by a Chauffeur to adhere to the Customer’s specified pick up location and time. 26. The Customer accepts that the Company, its officers, employees and affiliates, are a booking agent only for the owners of the Vehicles and the Customer agrees not to take any action against the Company for the result of any act or failure to act by the owners of the Vehicles or their employees, agents, representatives, agents or subcontractors including, but not limited to, any loss or expenses incurred by the Customer should the Vehicle break down or be involved in an accident during the Hire Period. 27. In the event of a break down or accident during the Hire Period the Company and/or the Vehicle owner or Chauffeur will assist the Customer as reasonably required and use their best endeavours to enable the Customer reach their pick up point and/or destination point in a timely manner. The Company and/or Vehicle owner or Chauffeur may arrange and supply an equivalent or alternative Vehicle, or make alternate arrangements for the Hire Period. 28. In the event that an equivalent or alternative Vehicle, or alternate arrangements for the Hire Period cannot be made for the Hire Period, the Customer is entitled to a refund of the Booking Cost. 29. Subject to any other Bookings of the Vehicle for a Hire Period, a Customer may elect to extend the duration of their Booking during the Hire Period. 30. The extension of the Booking of the Vehicle during the Hire Period must be agreed between the Chauffeur and the Customer during the Hire Period and the Customer must sign an amended Booking Confirmation Form as confirmation of the extension of the Hire Period. 31. All overtime rates will be charged in 15 minute increments at the overtime rate listed on the Booking Confirmation Form. The overtime rate will be payable in cash to the Chauffeur at the conclusion of the extension of the Hire Period, or charged to the credit card of the Customer provided to the Company at the time of booking. The Customer may elect which payment method to use during the Hire Period. 32. The Customer may contact the Company at any time during the Hire Period to avail themselves of any questions or concerns regarding a booking of the Hire Period. 33. In the event that a Vehicle is hired for a debutante ball, school formal, children’s party, or any other booking of a similar purpose, no alcoholic beverages whatsoever may be consumed by the Customer and/or any member of their party, regardless of whether the Customer and/or any member of their party is over the age of eighteen. 34. The Customer may request the Company to include Additional Stock in the Vehicle for the Hire Period. All requests must be made at least seven (7) days prior to the Hire Period. The Customer is liable for any and all costs of purchasing any Additional Stock. 35. The Customer authorises the Company to deduct the amount equivalent to the cost of Additional Stock, including a surcharge of 10% of the total cost of the Additional Stock from the credit card provided by the Customer at the time of Booking for the Hire Period. 36. The Company makes no guarantee to provide any or all of the Additional Stock requested by the Customer for the Hire Period. 37. The Customer and/or any other members of their party in the Vehicle during the Hire Period are strictly prohibited from consuming any food in the Vehicle, unless the Customer is given permission by the Chauffeur at the time of the Hire Period. 38. The Customer and/or any other members of their party are strictly prohibited from smoking within the Vehicle during the Hire Period. 39. In the event that any Customer and/or member of their party smokes within the Vehicle during the Hire Period, the cost of cleaning the interior of the Vehicle will be payable by the Customer and the Hire Period will be terminated immediately and no refunds will be payable to the Customer by the Company. 40. The Customer authorises the Company to deduct any such cleaning costs from the credit card provided by the Customer at the time of Booking the Hire Period. 41. In the event that the Customer and/or any member of their party vomits within the Vehicle then a sanitation fee of $250 will be payable. 42. In the event that any damage to the interior or exterior of the Vehicle and/or any property within the Vehicle, including but not limited to drinking glasses, seats, in car entertainment or lights, is caused by the Customer and/or any member of their party, the cost of repairing the damage will be payable by the Customer. 43. In the event that the Vehicle and/or property within the Vehicle requires any additional cleaning at completion of the Hire Period, as a result of any action by the Customer and/or any member of their party, the cost of cleaning the Vehicle will be payable by the Customer. 44. In the event that the Vehicle requires any additional cleaning or incurs any damage resulting from any act/s of the Customer and/or any member of their party, as specified in these terms and conditions, which results in the Vehicle being unavailable for a subsequent, pre-existing Hire Period, the Customer is liable to compensate the Company for any Booking Cost refund which may be payable. 45. The Customer authorises the Company to deduct any such sanitation fee, cleaning costs and/or damage repair costs resulting from any act/s, as specified in these terms and conditions, and deemed by the Company to be payable, from the credit card provided by the Customer at the time of Booking the Hire Period. 46. The Customer and all other members of their party in the Vehicle during the Hire Period are required to comply with any and all reasonable directions of the Chauffeur at all times. 47.  The Customer and all other members of their party in the Vehicle during the Hire Period are required to comply with the laws of Victoria. 48. In the event that the Customer and/or any other members of their party engage in any illegal activity, anti-social behaviour, abuse of other road users, the Chauffeur or members of the general public, the Chauffeur may immediately terminate the Hire Period. No refunds will be payable by the Company to the Customer in these circumstances. 49. Each Vehicle has a maximum seating capacity. The Customer acknowledges that under no circumstances is the number of people in the Customer’s party for the Hire Period permitted to exceed the maximum seating capacity of the Vehicle booked for the Hire Period. 50. Any child seats or other special seating arrangements required in the Vehicle for the Hire Period are the responsibility of the Customer and must be provided and secured by the Customer at their own risk. a) any act or failure to act by the owners of the Vehicle or their employees, agents, representatives, agents or subcontractors, pursuant to these Terms and Conditions. b) any action or failure to act by the Customer and/or any member of their party pursuant to these Terms and Conditions. 52. The Customer agrees not to take any action against the Company for the result of any action or failure to act by the owners of the Vehicles or their employees, agents, representatives, agents or subcontractors. 53. The Customer and/or any other members of their party in the Vehicle during the Hire Period are personally liable for any personal property or personal belonging(s) brought with them for the Hire Period and should carefully check that all their personal property and personal belongings are in their possession when vacating the vehicle. 54. The Company is in no way whatsoever liable for any personal property or personal belonging(s) of the Customer and/or any other members of their party in the Vehicle during the Hire Period. 55. In the event that a customer and/or any other members of their party misplace or leave any personal property or personal belonging(s) in the Vehicle during the Hire Period, the Company will use their best endeavours to locate the personal property or personal belonging(s). The Company makes no guarantee that the personal property or personal belonging(s) will be located. 56. In the event that the Company locates any personal property or personal belonging(s) in the Vehicle after the completion of a Hire Period, the items are retained at the premises of the Company for a period of one (1) month from the date of the Hire Period. The Customer and/or any other members of their party may request to have any personal property or personal belonging(s) located by the Company returned to them within this period at their own expense. 57. In accordance with its obligations under the Privacy Act 1988 (Cth), the Company will only collect personal information from the Customer that is reasonably necessary for, or directly related to, the Customer’s booking of a Hire Period. 58. The Company undertakes that any personal information collected from the Customer for the booking of a Hire Period will be reasonably protected and will not be disclosed for another purpose without the consent of the Customer, unless otherwise required by law. 64. Obligations under these terms and conditions affecting more than one party bind them jointly and each of them severally. I can’t rave enough about how fantastic the White Hummer was for my 21st! It was a joint party with multiple pick-ups and Exotic Limo was so helpful and professional. I also think their price was much more reasonable than other companies I tried. You will be surprised how cheap it can be to have 5 star service! Very impressed all round!